New parents are being taken advantage of, a consumer watchdog warns. Mothers around the world are being targeted by the “aggressive” marketing tactics of the world’s biggest four baby formula companies, according to a new report. Nestle, Danone, Mead Johnson Nutrition, and Abbott are accused in the report, which was published by corporate watchdog Changing Markets, of saturating the “lucrative” formula market with hundreds of breastmilk substitutes — with little nutritional difference between the products — to increase their profits. The baby formula market is already worth $47 billion a year, and it’s predicted to increase by around 50% in the next three years — making it one of the world’s fastest-growing packaged food markets. And while it is extremely profitable, the baby formula market is also highly concentrated — in the hands of six major international companies and their subsidiaries: Nestle (the leading company with 22% of the global market share), Danone, Mead Johnson (now RB), Abbott, FrieslandCampina, and Heinz. But the “Milking It” report claims that parents are being taken advantage of as the small number of companies market an ever-increasing number of very similar products to compete for the lion’s share of the profits. Viet Hong Ngo, from Vietnam, pictured with a packet of breastmilk substitute. “They said they would have a gift for me, and so we signed up,” said Viet who, three months after giving birth, found she wasn’t able to juggle her part-time job as an accountant with breastfeeding her baby. She began exploring her options for baby formula. 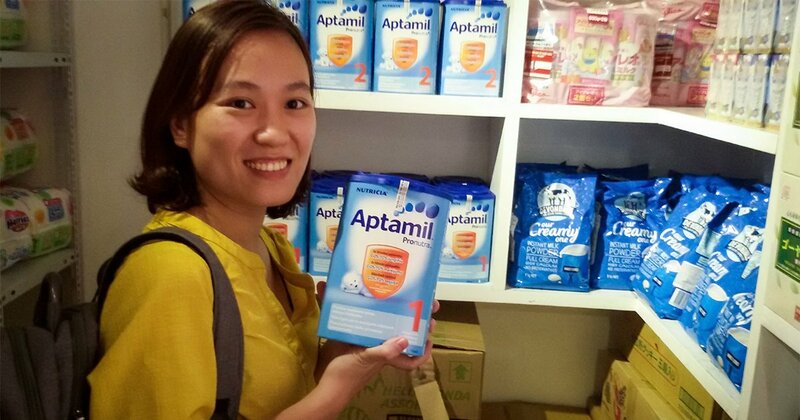 Viet said she settled on Aptamil, a Danone brand from Germany, because it contains vitamin B3, “for the height.” Viet was so convinced that Aptamil was the perfect formula for her baby that she began shipping it from Germany, as it is not available in Vietnam. But while mothers like Viet spend large amounts of their income on formulas that they believe are better for their babies, the “Milking It” report claims that, in reality, there is little difference between the recipes and the nutritional composition of “premium” brands and other cheaper versions. While “there is no clear scientific rationale underpinning [the baby formula] product range”, according to Changing Markets, the benefits of breastfeeding are well recognised. “Breastfeeding is nutritionally, immunologically, neurologically, endocrinologically, economically, and ecologically superior to breastmilk substitutes (BMS)”, says leading medical journal The Lancet. Global Citizen campaigns to end hunger and malnutrition around the world. You can join us by taking action here. Global Citizen will continue to work on this issue to ensure parents can make choices about how to feed their children that are free from commercial interest. The report reviewed more than 400 breastmilk substitutes and the price differences between products across Europe, the US, China, Indonesia, Australia, New Zealand, and South Africa. The report focusses on exploring the nutritional differences — or alleged lack thereof — between the various products. It highlights, as an example, the differentiation between starter or infant formula — for babies under 6 months old — and follow-on formula — for infants between 6 and 12 months old. For these products, there are two separate nutritional standards outlined as a minimum composition requirement, and their composition has been separately regulated in certain regions, such as the EU. Another variation in products that the report examines is formulas that claim to tackle specific health problems, such as indigestion or constipation. “There is a trend towards medicalising infant formula; manufacturers are developing an increasing number of over-the-counter products that claim to address general conditions in infants,” the report reads. 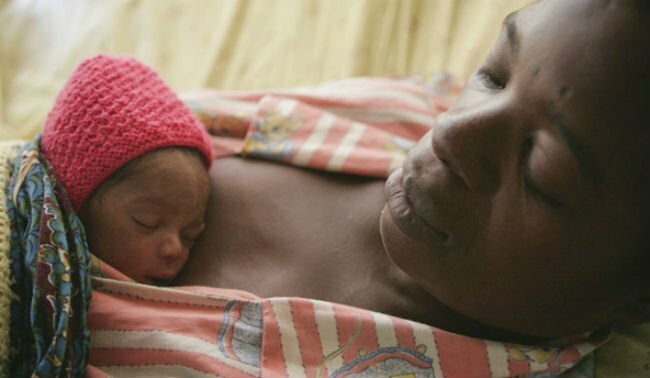 While the market for breastmilk substitutes is being globalised at an unprecedented pace, the report highlights that there is no binding global legislation on the nutritional composition of such products. Instead, a number of voluntary global standards for the nutritional content of formulas have been in place since the 1980s — set by the Codex Alimentarius Commission, a joint intergovernmental body of the UN’s Food and Agriculture Organisation and the World Health Organisation. However, according to the report, NGOs have raised concerns regarding a lack of transparency, reporting that industry representatives’ “excessive influence” often results in trade and economic matters taking priority over health protection concerns. At a meeting of the Nutrition Committee (CCNFSDU) in 2014, for example, the International Baby Food Action Network — a public interest group working against infant mortality — reported that of 299 participants, 120 were representatives of food and related industries. Meanwhile, only seven participants were infant feeding health advocates from NGOs. The report also highlights differences between how products are priced in various countries, depending on what customers are willing to pay. For example, Aptamil Profutura, made by Danone, is on sale in the UK, Germany, and China. In the UK, it costs the equivalent of $17 per 800g. In Germany, it costs around $24 per 800g. But in China, it costs around $55 for 900g. According to the report, the emerging markets in China, Hong Kong, Indonesia, and Vietnam, account for more than two-thirds of total global sales — around $30 billion — due to rapid urbanisation and high birth rates. Prices for formula around the world are so different that while it costs just $82 a month to feed a baby on the top-priced formula in the UK, in China, it would cost $286 a month. And in the UK, France, and Germany, feeding a 2- to 3-month-old baby costs 1-3% of an average parent’s salary. In Indonesia, it costs up to 70%. 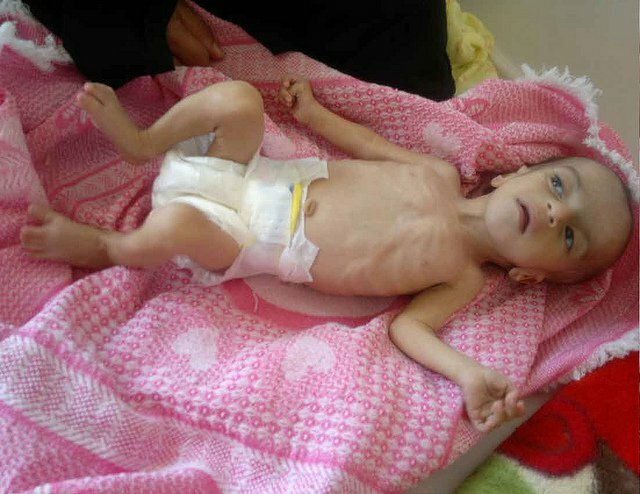 Undernutrition is associated with 45% of child deaths, or 3.1 million children every year, according to medical journal The Lancet, and the first two years of a child’s life are especially critical. Good nutrition is necessary for improving child survival, for promoting health growth and development, and for preventing illness later in life. There is a Code in place to regulate how companies market breast-milk substitutes - the International Code of Marketing of Breastmilk Substitutes — but, according to the report, “all of the big four baby milk multinationals regularly breach” the code. The report authors insist that a “comprehensive overhaul” of the baby formula market is needed, to prioritise nutrition and babies’ health — rather than potential profits.